Atena Daemi (Persian: آتنا دائمی‎‎) is a 29 years old civil rights activist, children’s rights activist, human rights activist and political prisoner in Iran. Atena Daemi was arrested on October 22 of 2014 and was kept in solitary confinement and interrogated for 86 days. She was then transferred to the women’s wing of Evin prison. 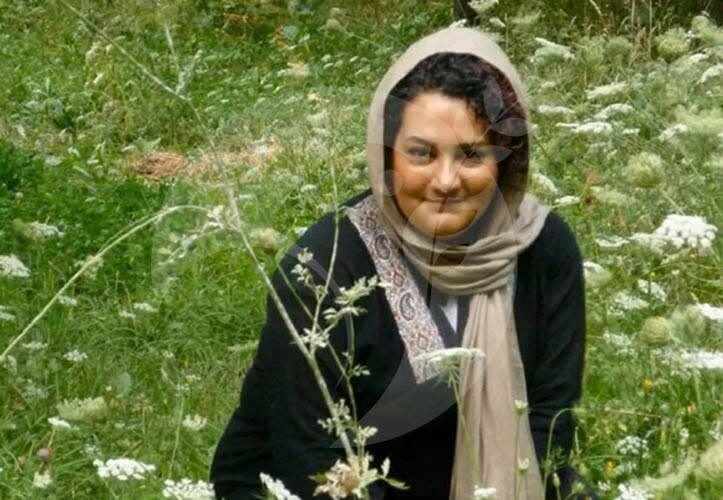 Her trial was on March 15 of 2015 and this social activist was accused for propaganda against the regime, conspiracy against national security, insulting the supreme leader and insulting the founder of the Islamic revolution and was sentenced to 14 years of prison. She was bailed out of prison on February 15 of 2017 and her sentence was reduced to 7 years in the appeals court. Atena started a hunger strike on April 9th 2017 until the 1st of June,a fifty five days unprecedented strike as a protest to sentencing of her family members. A letter has been written by Amnesty International on May 17 of 2017 asking for transfer of Atena from prison to a hospital and describing what has happened to her in prison. The letter says Atena Daemi, who has been on hunger strike for 40 days, has been coughing up blood, suffered severe weight loss, nausea, vomiting, blood pressure fluctuations, and kidney pain. Doctors have warned that she requires immediate hospitalization. However, the authorities at Tehran’s Evin prison have refused to authorize her transfer to a hospital outside prison for medical treatment.